***** "Thanks for making Gmail so much better on my iPad!" √ Touch ID & Passcode protection with strong keychain security. √ New mail and badge updates and push notifications with various ringtones. √ Full message view with font size adjustments. √ Anti-phishing by displaying full undisguised URL before following external links. √ In-app browsing or open links in Safari and Google Chrome. √ Air-print web pages and email attachments. √ Open attachments in 3rd-party apps like Good Reader, DropBox etc. √ Save images to iPad's photo album. 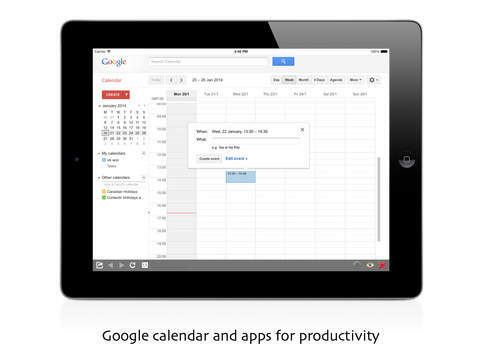 Don't miss it if you are a true lover of Gmail and iPad. - Fixed failure to open external browser.